My husband LOVES alfredo sauce! I hate milk. I made quite a few substitutions in the recipe I used to make absolutely sure it was gluten-free. 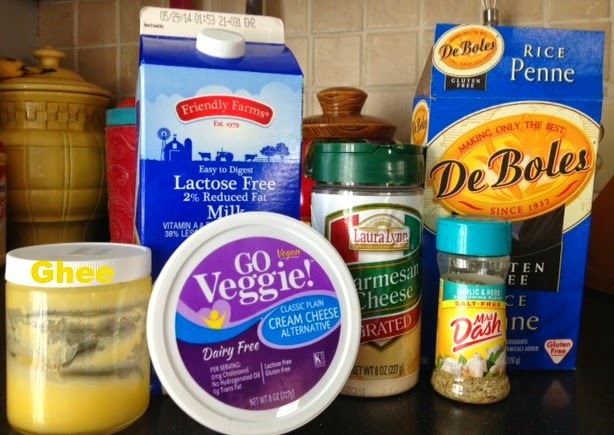 For example, I replaced the butter with Ghee and the regular cream cheese with Go Veggie!. I used Lactose Free Milk 2% (only one cup) and our favorite gluten-free pasta De Boles Rice Penne. Mrs. Dash Garlic & Herb is a flavorful staple of mine so I was excited to see it used in this recipe. I couldn't find the Parm lactose free, hence the allmmoossttt lactose free. I grilled some chicken tenders for additional flavor and tossed it on top of the pasta. 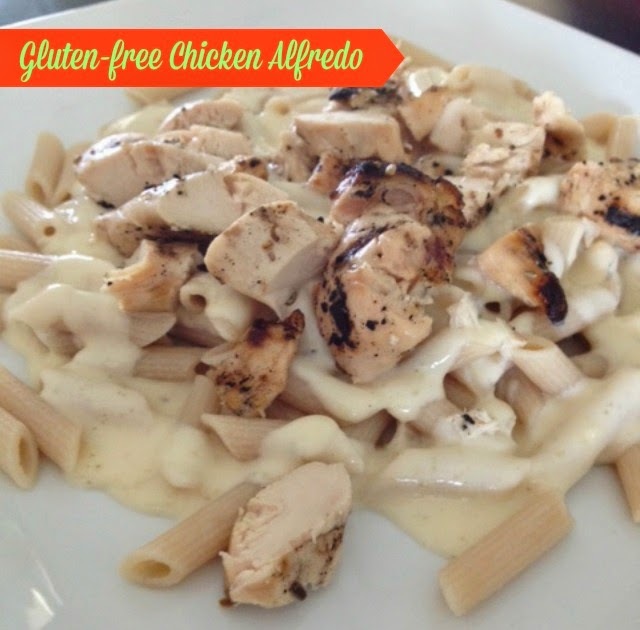 Is this the best Chicken Alfredo one has ever eaten? Probably not. Is it a very viable substitute of a favorite dish for a gluten and lactose sensitive individual? ABSOLUTELY! My husband enjoyed it or at least he said he did! Try it out and leave me a comment with your review.